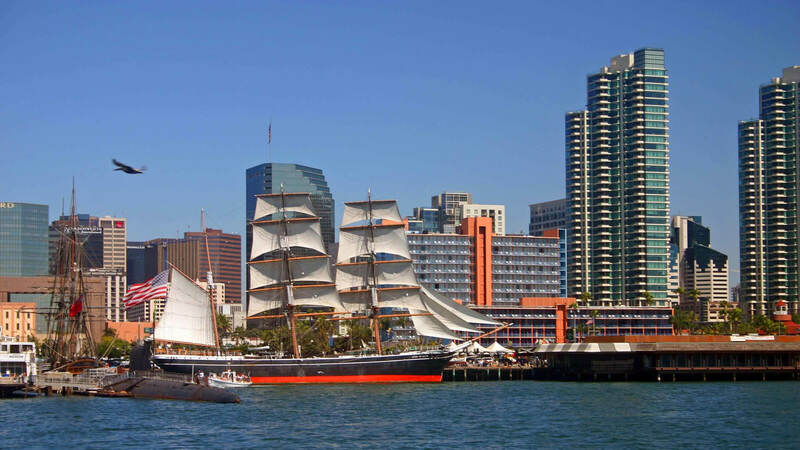 San Diego Waterfront & Seaport Village. 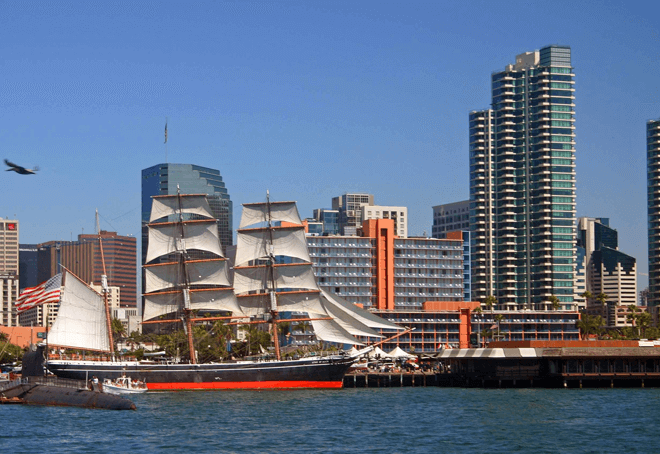 Seaport Village is a waterfront shopping and dining complex adjacent to San Diego Bay in downtown San Diego, California. It is located at 849 West Harbor Drive, at the intersection of Harbor Drive and Kettner. It houses more than 70 shops, galleries, and eateries on 90,000 square feet of waterfront property. 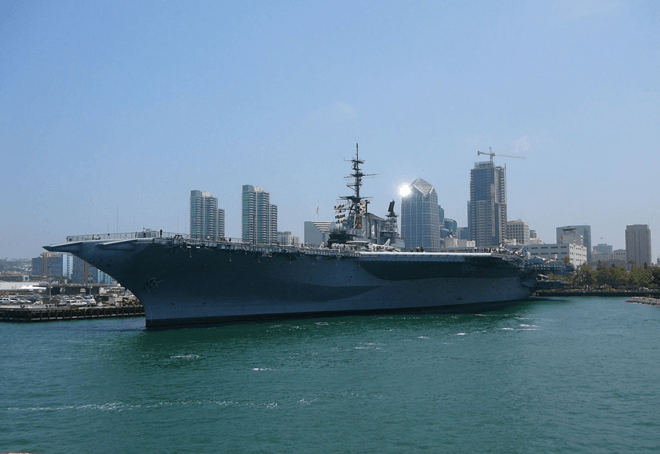 Just a walking distance from the USS Midway Museum. 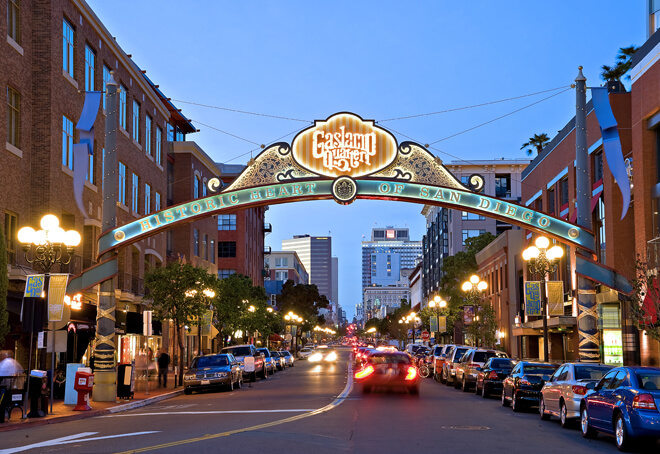 The Gaslamp Quarter is a lively downtown neighborhood, known for its nightlife. Clubs, dive bars and cocktail lounges draw a young crowd, while the Spreckels and Balboa theaters have diverse programs of music, comedy and drama. There’s a mix of chain and independent restaurants in the area, with many global options. Horton Plaza Park has grassy lawns, ice cream and coffee vendors, and an interactive fountain. Old Town is a neighborhood of San Diego, California. It contains 230 acres and is bounded by Interstate 8 on the north, Interstate 5 on the west, Mission Hills on the east and Bankers Hill on the south. 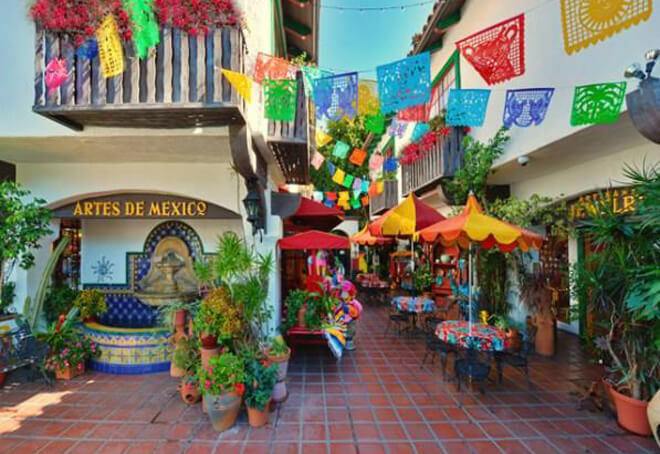 Did you know: San Diego’s Cinco de Mayo celebration is held in Old Town every year. Standing as the most famous of the original adobe buildings in Old Town, it’s furnished with representative items from the 16th to 20th centuries within its 13 rooms. 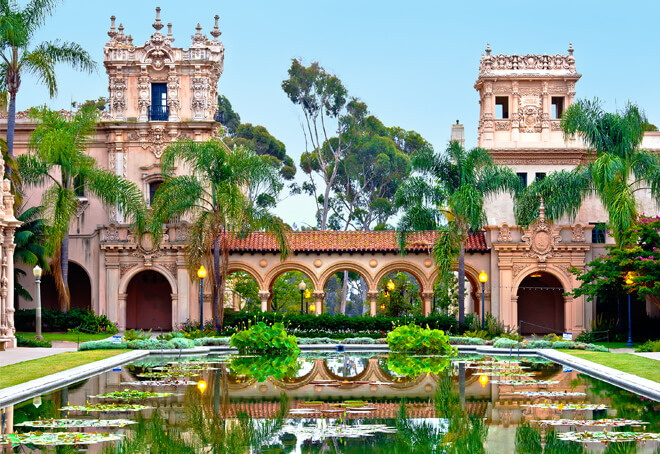 The Junípero Serra Museum in Old Town’s Presidio Park is one of the most familiar landmarks in San Diego, recognized as the site where California began. San Diego’s Hotel Del Coronado. Hotel Del Coronado, housed in a grand 1888 Victorian property, this upscale beach hotel is 5 miles from downtown San Diego. Hotel del Coronado (also known as The Del and Hotel Del) is a historic beach front hotel in the city of Coronado, just across the San Diego Bay from San Diego, California. It is one of the few surviving examples of an American architectural genre: the wooden Victorian beach resort. 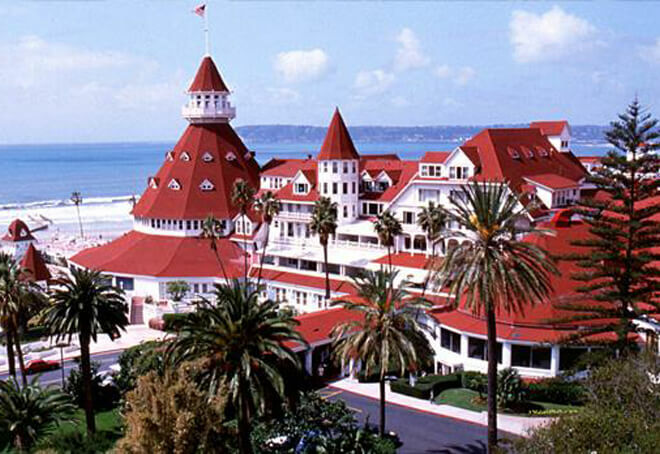 Some Like It Hot (1958): A substantial part of the movie was filmed at the historic Hotel Del Coronado and Coronado Municipal Beach. Marilyn Monroe, Tony Curtis and Jack Lemmon are the main stars in this comedy featuring romantic high jinks throughout the resort. Rate Starts at $445*Up to 4 passengers.